Clips from various works, 2005-present. To read more about the work I've created, scroll down. started in 2012, is an ongoing nostalgic journey into the recesses of our subconscious. A space where intricately woven intangible associations juxtapose residual representation. It’s a tale of familial support & supplication, a diary of love & loss, an ode to an analog era, and a reverence to persistent pioneers. Brother & Sister, James & Jen McGinn traverse the vast landscape of their collective history & humor to reconstruct humanity within the shell of contemporary formalism. The Malady at Sea (current project) is an exploration of shared nostalgia. Reunited in our history of a seemingly paradisal hometown, the performers reconnect through movement landscapes and symmetrical facades. We are examining displacement and exclusivity. We are examining commonalities and desires. choreographed in 2014 in collaboration with iele paloumpis, is an episodic journey through memory, disorientation, and altered states of consciousness. Mapping through tape and sound provides a landscape for movement to reveal individual and collective experiences. Through live performance Jen McGinn, iele paloumpis, and Joanna Groom create a nonlinear structure in which all ideas have the possibility of connecting to all other ideas. 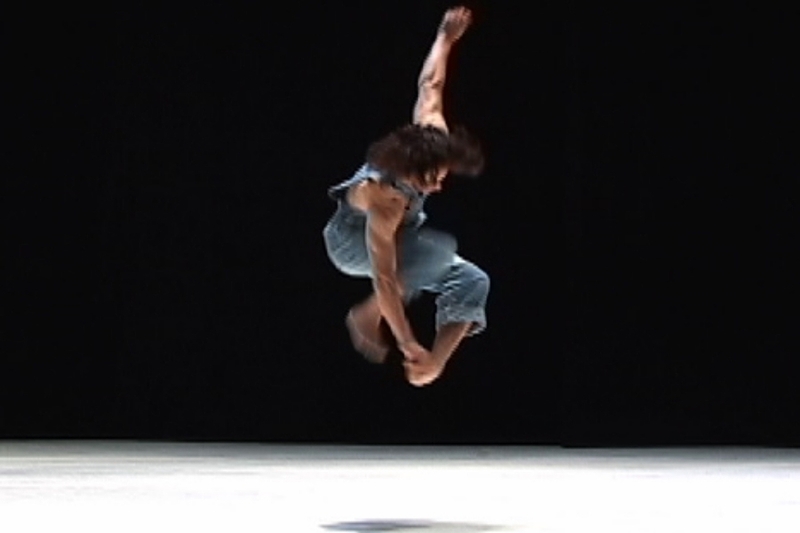 choreographed in 2009, implements age-old dichotomies of good vs. evil and the individual vs. the group through the lens of fantasy, while underlying vulgarities of the mundane and the loaded concepts: "morals", "values" and "self-expression" are examined through movement abstraction and by queering formal compositional structures. choreographed in 2006, is a laymen’s approach to questioning “what is classical?” Memories of Greek sculpture are conjured while surface level understandings of symmetry, patterning and form are utilized alongside codified movements and familiar/playful images/relationships. choreographed in 2008, is an improvisational score, referencing iconographic Judy Garland. By sourcing personal experiences, performance identities, and your impeccable perception of space, time, and composition, a perfectly designed, mildly competitive game of spontaneous absurdities erupts. 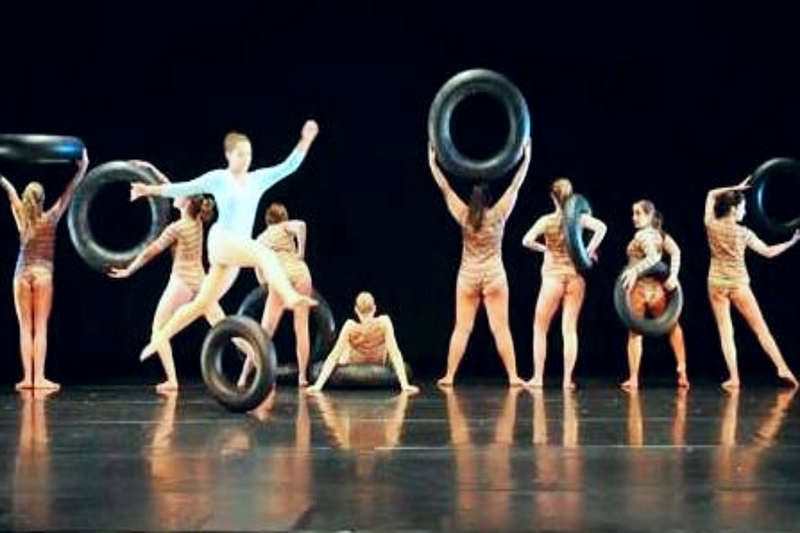 choreographed in 2005, depicts a crew of misfit performers. Through the use of fancy footwork, dry humor, and one sub-par trampoline, the audience is won over in celebration for the underdog. originally choreographed as a solo in 2004, examines a spectrum of femininity through the use of portraiture and absurdist formalism. Re-imagined as a trio in 2012, the relationship of multiple enigmatic solos and the roles of performer and spectator are deepened. a duet originally created in 2004, was an early investigation into classicism and its relationship to realism and beauty. The exposed female body became the manifestation of this relationship in all its complexities. In 2011, Lily was re-examined to take a closer look at the labyrinthian relationship of the female performers, layering desire and discomfort around the formal and picturesque.